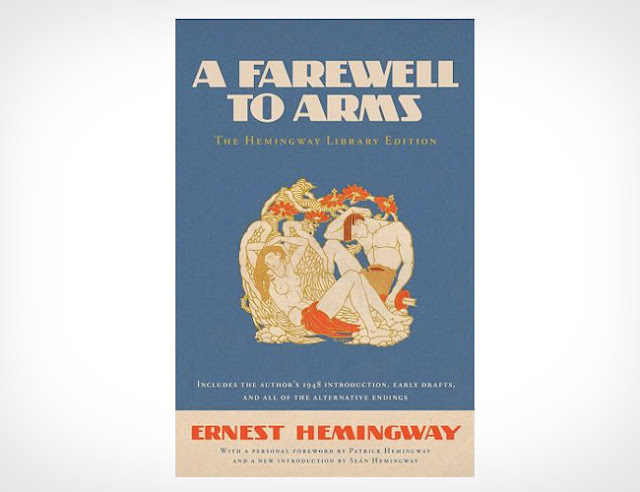 In an 1958 interview, Ernest admitted to re-writing the ending of his famous A Farewell to Arms 39 times. Publishers Simon and Schuster, which absorbed Hemingway's original publisher Scibner, have decided to release a new edition of the literary masterpiece, complete with original manuscripts for the book with alternate passages, along with the afore mentioned alternate endings, and some original artwork. All of this is approved by the estate of the late author, and is meant to draw attention back to the writer as a toiler in his craft, and to steer fans away from his legendary status as a carouser. Available a book retailers everywhere.